File picture of Meghalaya High Court. 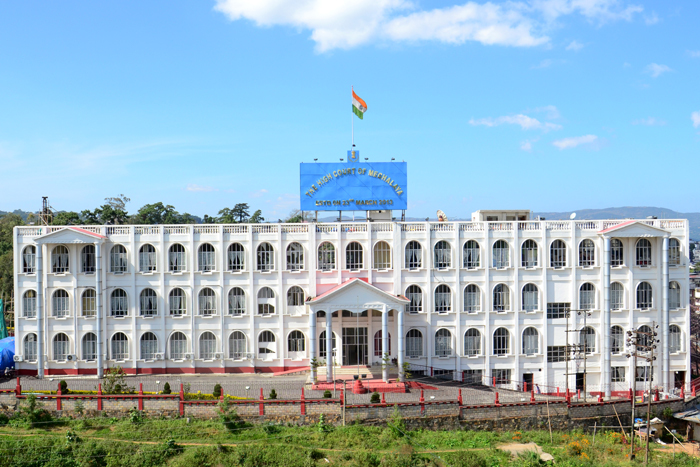 A petition that challenged the conduct of election to the post of chief executive member of the Khasi Hills Autonomous District Council was disposed off by the Meghalaya High Court after the petitioner decided to withdraw his petition. Earlier, the opposition People’s Democratic Party MDC James Ban Basaiawmoit filed a petition challenging the conduct of the election to the CEM post on the ground that the election was not conducted according to rules. However during the hearing on Friday, counsel for the petitioner (Basaiawmoit) moved an application with a prayer to withdraw the petition as the petitioner (Basaiawmoit) is no more interested in pursuing the matter. Granting the request, the court in its order stated that the case is accordingly dropped and stands disposed off. However, on the petition filed by Grace Mary Kharpuri, another MDC of the PDF who was also the candidate for the election to the CEM post, the High Court ordered that the matter be listed after two weeks for hearing. The election to the CEM post was held on July 13, where NPP member from Nongkrem constituency, Hispreaching Son Shylla was elected to the post without any contest since Kharpuri, who was the candidate of the People’s Democratic Alliance (PDA) did not participate in the election.